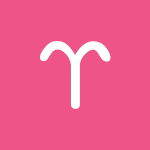 Aries Monthly Horoscope Summary for August 2018: There is a strong focus on pleasure and self-expression through hobbies, recreation, and leisure this month, dear Aries, even if there are related delays. It’s a playful period when you’re discovering your needs for pleasure, entertainment, and positive feedback. You’re putting your unique personal stamp on whatever you’re doing, and this is a wonderful process of self-discovery. However, there are times when you can feel in limbo or behind on some level, especially until the 19th, perhaps as you are waiting for news or need to do some backtracking. While more clarity is likely from the 19th, your ruler, Mars, is retrograde until the 27th, and it may not be until after that date that you have a stronger sense that life is moving at the pace you prefer. You tend to prefer a more straightforward approach to life, for certain, but the editing work you do now can pave the way for happy successes later. Helping you to acclimatize to this season of retrogrades is a Jupiter-Neptune influence that makes it easy, natural, and fun to nurture your need for more imagination and time to absorb and digest recent experiences. The Solar Eclipse on the 11th can stimulate a strong desire for a fresh start in the areas of romance, personal enjoyment, and creative expression. Even so, the effects of an eclipse last six months, and it’s best to wait for new launches or brand new beginnings until September or later. From the 23rd of August forward, more attention to work and routine is likely. 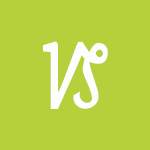 From the 6th, you benefit from Venus in your partnership sector. This transit helps bring helpful people into your life or is useful for making current relationships more friendly and pleasant. It’s a time for making peace with people as well as for negotiations, compromises, contracts, and making connections. You’re inclined to seek company more often than not, and partnership feels rewarding. Uranus turns retrograde on the 7th, and while Uranus recently left your sign (in May) after a seven-year stay, it’s heading back to Aries for a few months longer. This isn’t happening yet — in fact, this is going to go down in November — but it’s the first sign that Uranus isn’t quite done with Aries! From November to March, you’ll get a second chance to make some important breaks and innovations that ensure you’re living your life more authentically. In the meantime, recent money-making ideas may need to wait or require some ironing out. The 7-8 is also strong for new thinking along romantic and/or creative lines. There could be a reconnection with an old friend that gets you thinking or seeing a past relationship in a new way. This helps set up the new, slate-clearing energy of the Solar Eclipse on the 11th. You’re reconsidering previous conclusions about your needs for romance and pleasure. It can also be a time for bringing back old hobbies and pastimes. Mars remains retrograde this month (until the 27th) but spends its last two weeks of retrograde motion in your career and reputation sector There can be some second-guessing or reassessing of your goals now, and part of the process can involve taking a second look at old projects and plans. Mercury turns direct on the 19th, and then Jupiter and Neptune form their final trine in a set of three that first happened in December. It’s a wonderful influence for your intimate, inner, and emotional life. Imaginative activities or behind-the-scenes efforts can be rewarding, either spiritually or materially. It’s a fine time for your dreaming world, education, publishing, and shared finances. From the 23rd, work and routine assume more importance. Helping ground you at this time is a grand trine in Earth signs, falling in your practical houses. This influence supports improvements in your money-making and work projects, as well as with your reputation. Alternative arrangements, jobs, or approaches seem to work wonderfully well for you now. Applying yourself to your work comes more naturally, especially with new and improved ways of doing things that motivate you. Mars turns direct on the 27th, and this is especially good news for you as an Aries (Mars is your planetary ruler). Mind you, this retrograde period has likely been useful for redirecting you along better paths. In the weeks ahead, career matters can improve, whether this has to do with conditions or confidence in your work and your broader goals. Blocks lift, and you are working more on your own terms. There is a stronger sense of direction and more time spent on moving things forward as you head into September. Your best bet now, and in a general sense throughout August, is to avoid seeking instant results. The last week of August is excellent for coming to a better work-life balance. 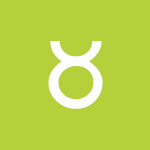 Taurus Monthly Horoscope Summary for August 2018: The month ahead brings a stronger focus on home and family life, dear Taurus. 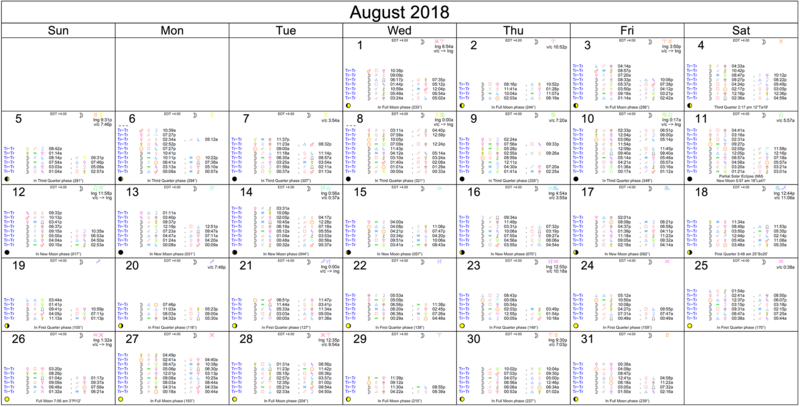 You begin August attempting to find a balance between attention to home and family life and focus on professional or “outside” responsibilities. Easing up on the pressure you put on yourself to shine in both areas can help. With Mercury retrograde in one sector until the 19th and Mars retrograde in the other sector until the 27th, there can be a slew of small problems and delays to deal with, which can certainly slow you down. If you’ve been undecided about a project launch, a move, or a personal change, the energy of the Solar Eclipse on the 11th may tempt you to push forward. However, all of August is not ideal for brand new beginnings, so you may want to plan and strategize now and save new beginnings for September or later. Keep in mind that any backtracking you need to do in August will contribute greatly to the strength of future plans, so we’re not talking about lost time! You’re likely to pay special attention to personal matters, domestic affairs, and family much of August, but later in the month, you come out of your protective shell. From the 23rd, there is an increasing focus on entertainment, romance, and creative self-expression. You end the month far more outgoing and confident than you begin it. Venus, your ruler, enters your work and health sector on the 6th, and for the rest of the month and beyond (until September 9th), this transit encourages more pleasure and harmony in your daily life, including your work or routines and health pursuits. You can take pleasure in producing, serving, and managing your daily affairs. You feel more accomplished through cooperation and sharing. Or, you might make pleasant contacts through the pursuit of your work, health, or daily goals. Uranus recently entered your sign and will spend about seven years in Taurus. However, it turns retrograde today and will dip back into the sign of Aries in November for a few more months before returning to Taurus more consistently in March. While you’ve had stirrings of excitement and perhaps disruptions since May, you’re now slowing down on the fight against the ordinary or routine. On the 12th, Mars moves back into your solar ninth house, and will spend its final two weeks of retrograde motion in this area of your chart. You may be dealing with waning energy or enthusiasm levels initially until you redirect your energy into different channels. Legal or publishing matters can require a second look. You might rediscover old studies, interests, and passions that spark a new interest, but be sure to approach them in fresh ways so that they aren’t left unfinished this time around. While August can be slow-moving, and at times, you may feel you’re backtracking, a Jupiter-Neptune aspect can help your mood. This influence helps you form or strengthen your relationships. You might even connect with a kindred spirit. Someone in your life could inspire you to seek out happier circumstances or reach for a long-term dream or goal. This sets the stage for the Full Moon on the 26th that pulls up your true feelings about a friend or romance. The week following this Full Moon, while a little chaotic, can be excellent for your social life. The Sun moves into harmony with your sign on the 23rd, and is part of a grand trine in Earth signs on the 25th. This influence helps you express your individuality and your reliability at the same time. You’re finding effective channels for expressing your unique personality and ideas. You might come to a new understanding in a relationship in which you feel both free and secure, or you enjoy a satisfying creative project or pastime now that helps you release stress and tension. The direct turn of Mars on the 27th can also prompt a turning point or signal forward movement for studies, projects, publishing efforts, career, your reputation, legal affairs, or travel. If you’ve encountered difficulties or delays with your career path or reputation, these matters are likely to clear up starting mid-September forward. Courage, confidence, and clarity are returning now! Projects and personal interests can bring greater rewards. Don’t try to take on too much all at once, however. Easing forward is best after a retrograde period. This comes at a time when your social or romantic life is picking up pace and you’re naturally coming out of an introspective period. 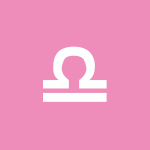 Gemini Monthly Horoscope Summary for August 2018: You’re likely to find circumstances are such that you’re sticking close to home, at a desk, or otherwise focused on your daily routines in August, dear Gemini. Even so, it’s a busy time for connecting, learning, communicating, and running errands. However, the Lunar Eclipse that occurred in the last week of July has prompted cravings for bigger things or some distance from the mundane affairs of your life, and you’ll be seeking some escapes from time to time. Romantic expression moves from slightly timid to wonderfully terrific around the 6th, when Venus moves out of your home sector and into your romance sector for the remainder of the month and beyond. Mercury is retrograde until the 19th, after which more clarity comes to your projects and communications, you can put some editing work behind you, or word comes that moves things forward. However, Mars remains retrograde until the 27th, and while you get a better sense of what you should be doing from the 19th, what you genuinely want to do may be up in the air until late August. In some ways throughout August, the cosmos are asking you to slow down and to curb recent excesses so you can get yourself back on track. This way, you can more easily see areas that have been tripping you up, that have been false paths, or where your heart truly wasn’t invested. Whether this is about taking on too much or avoiding responsibilities, either way, you’ll get a better sense of your next steps. This Mercury retrograde cycle, in particular, may be harder on you than usual. Of course, Mercury is your ruler, making all of its retrogrades significant to you in some manner, but it’s currently transiting your communications sector, and delays or misunderstandings can be notable. From the 6th, Venus transits your solar fifth house to which she brings graciousness, the power of attraction, an urge to interact, and increased charm until September 9th. The solar fifth house rules self-expression, creativity, romance, children, entertainment, and other channels through which you express your need for play, reinforcement, and even applause, and any or all of these areas can benefit. It’s a time when you tend to follow your heart’s desire, not aggressively, but gently. You approach the world more creatively and romantically. You take increased pleasure in leisure activities and hobbies. You’re likely to gain new insight into your current interests, projects, and communications around the 8th, and the Solar Eclipse on the 11th can push for a new beginning along these lines. Mind you, brand new launches are not advisable in August, but this doesn’t mean you can’t consider new approaches or lay the groundwork for new launches next month and later. Eclipse power is strong and lasting. You might re-discover an old interest or conclude that something you’ve been pursuing is no longer up your alley. This can be the beginning of new thinking on learning pursuits and projects. Ideas now can spark a long-term venture. On the 12th, Mars moves back into the sign of Capricorn, where it will transit for the final leg of its retrograde period (until the 27th). For you, this can prompt the need to revisit financial matters, issues of support, and debts. Ambiguity with finances, particularly debts and shared money or resources, could dominate now, or financial affairs require a second look. An old relationship that ended poorly may occupy your thoughts, or a former lover may return (in the flesh or as a flood to your consciousness!). There can be the magnification of unexplored desires now, too. This is a time for exploring frustrations and deeply buried matters and finding better tools for managing your life on an emotional level. Keep in mind that retrogrades are about taking a second look at things, so consider this an opportunity or a blessing in disguise. Around the time of Mercury’s direct turn on the 19th, Jupiter and Neptune form their final trine in a set that began last December. Its final hoorah is fantastic for boosting your emotional world. It encourages a more spiritual or imaginative approach to your work, services, and health. It’s a strong time for enjoying or finding work, volunteering, showcasing your skills, and improving working relationships. There is powerfully creative, generous energy with you for matters related to your career and reputation. A vocation, life path, or direction may fall into place, especially if you relax on the need to strictly define your end goals and instead focus on doing your best in the present. Trust that by doing what you love, you’ll get where you need to go, however long it may take! This can be a good time for coming up with creative solutions to problems, as well. This aspect sets the right mood for enjoying the Full Moon on the 26th when you can make some beautiful and meaningful realizations about your career or longer-term goals. The Sun moves into your home and family sector on the 23rd for a month-long transit that is determined to see you rest and recuperate. It’s also a time for making improvements in your domestic world. Helping you out with this is a Grand Earth Trine that encourages getting in touch with, understanding, and appreciating your inner world, responses, and closest relationships. Improvements mean getting a handle on problems related to emotional attachments, dependencies, sexuality, or financial support. There are solutions, outlets, or even breakthroughs occurring now that suggest steady forward motion. You might have a nice outlet for expressing yourself or some of the blocks in your intimate life or with money decrease. You’re in great shape for sorting out financial and emotional problems and dealing with bad habits. Mars turns direct on the 27th after two months of retrograde motion. Complexities begin to unravel, mainly related to finances or dealings with a partner. You’ll appreciate a more straightforward approach after a feeling of treading water. You’ll have more energy and direction in the coming weeks. Later, you get the chance to work through issues related to studies or travel that were in limbo. Use the period ahead to face problems directly and courageously, but ease back into action. 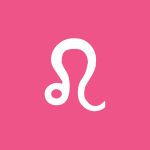 Cancer Monthly Horoscope Summary for August 2018: This is a good month for settling in and focusing on comfort, financial, and security, dear Cancer. With more planets retrograde than usual, it’s better for all of us to focus on developing what we have than to push forward with brand new beginnings in August. Fortunately, your astrology encourages a take-it-easy approach this month, and it’s well-timed– you’ll find it more natural than most other signs to slow things down. With current transits, you’re especially aware of what you have and what you might want to build or strengthen to feel safer and more content down the road. Mind you, the Lunar Eclipse in the last week of July may have encouraged you to move out of your comfort zone, and it’s a good idea to do so from time to time so that you don’t get (or feel) stuck. Much of August is pleasurable and slow, but there are busy and even chaotic elements possible with Mercury retrograde until the 19th and Mars until the 27th. Some backtracking or review of money may be in order in the first three weeks of August, after which business deals or money matters begin to move forward. If you’ve been overshooting, particularly in your intimate life, or spending/borrowing too much, it’s a time for making some important adjustments to get yourself back on track. Trying to do too much too soon will only serve to exhaust you, though, so do pace yourself. The impulsive Solar Eclipse on the 11th can find you shutting down a project in hopes of going in a brand new direction. However, it’s best to tame impulses now since August is not an ideal time for major changes. After spending about a month in your communications sector, Venus heads into your home and family zone on the 6th, where she will stay for the rest of the month and beyond (until September 9th). While this cycle and retrograde Mercury overlap from the 6-19, be extra mindful if pulling away from others, as your silence can be misunderstood. However, it’s a beautiful time for bringing more harmony and even artistry to your family and home life. You may be seeking refuge from demanding situations or quiet time more often than usual. You can be particularly attached to the past and what’s familiar, which keeps you looking back rather than forward. This can be a good time for decorating, hosting, entertaining, and family activities. Some hesitancy and caution when it comes to love, the pursuit of pleasure, and money is common with this cycle. Improved living conditions and arrangements or family relationships can be in the spotlight now. Around the 7-8, new information about a past matter, or new thinking on an old problem, can motivate you, particularly on financial or business levels. These can ultimately lead to an important new direction, but again, take things easy, as there is more thinking on the matter to do. You could be focusing on recycling old ideas or discovering that a particular attitude or project may no longer be motivating you. You may find a lost item or even a forgotten source of income at this time. Retrograde Mars moves into your partnership sector for the last leg of its retrograde period (from the 12-27), and you may need to redirect your energy with regards to people and partnerships. You could be re-assessing approaches to others as well as what it is you want from your connections. It’s time for taking a second look at things. A Jupiter-Neptune trine occurring this month first happened last December and is now forming for the third and final time. It’s a warm influence that’s particularly favorable for you in areas of romance, children, creativity, publishing, travel, and self-expression. This is a time for using your imagination to your benefit instead of allowing it to stand in the way of happiness and success. Matters of the heart can be inspiring. There can be beautiful connections made through travel or educational endeavors or shared adventures. It’s a time for opening your mind and spirit to new experiences. Trips or learning experiences could be especially rewarding for you, not only as breathers from pressures in your life but also for connecting you with people and projects. Your creative works may even inspire others and certainly serve to motivate you. The Sun moving into your communications sector on the 23rd tends to speed up the pace of your life, and Mars turning direct on the 27th has a similar effect. You also have a wonderful Grand Earth Trine supporting your efforts in the last week of August, helping to ground you and possibly reinforce a partnership or friendship, improve your finances, and help you advance your studies or learn valuable skills. You are combining the old with the new or the exciting with the stable elements quite seamlessly now in your relationships, or you may be rewriting some of the rules for the better with friends and partners. Mars ending its two-month retrograde on the 27th helps you clarify your desires. Life begins to smooth or straighten out, and ideally, you now have a better sense of what you want (and don’t). 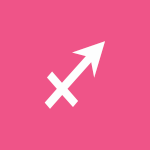 Mars moves direct in opposition to your sign until September 10th, and while straightforwardly dealing with others may have been challenging, relationship dynamics smooth over and problems can be dealt with more directly going forward. You can expect some recent challenges to untangle in the coming weeks, mainly involving close relationships. Money-making projects are likely to pick up speed, especially those that involve a business partnership. The desire to move forward on a relationship matter can be intense, or you feel that you now have the psychological tools or enough information to go ahead. Ease back into action now for best results! August 2018 Monthly Horoscope Summary for Leo: August is your power month, dear Leo, and you’re standing out, even more than usual! Delays with personal plans may be part of your month, but things should be moving a little more smoothly after the 19th when Mercury in your sign ends its retrograde. Nevertheless, Mars continues to retrograde until the 27th, making the month less than ideal for quick developments, new launches, or significant changes. It’s a slower month than usual, but definitely not a loss. In fact, you can get a whole lot accomplished now. From the 6th, Venus is in a harmonious relationship with your sign, enhancing your appeal, manner, and magnetism, especially through your communications. You can find much to enjoy in personal interests, studies, short trips, and making contact with others. It’s a good time for relationships with siblings, classmates, and neighbors. Your natural charm is emphasized with Venus in its own house. This transit certainly helps with Mercury’s retrograde in your sign until the 19th which can lead to some misunderstandings. Communications are taken a little more seriously or literally, and not always correctly with Mercury’s retrograde, but the Venus transit can help smooth things over. A meaningful communication with someone from your past may be part of the picture around the 7th. There is a strong focus on you and your money, talents, and communications in August. With the Sun and Mercury in your sign, as well as a Solar Eclipse in Leo (the last one for eight years), it’s an essential time for pursuing your personal goals, expressing yourself independently, and taking care of your needs. This is about discovering or reconnecting with your independence and courage to be yourself. Mercury is retrograde in your sign until the 19th, and it’s also vital that you look back before moving forward. Transportation and communications options can open for you. Work and partnership can be a little more complicated this month, and it’s important to be reflective about recent projects. From the 27th, desires become clearer, particularly related to relationships, travel, education, and legal matters. This month, there may be purchases made or gifts received that help you connect and learn. You are more charming and creative with your words, and love can be particularly mental and verbal. You are drawn to things that improve your mind. Relationships with your relatives and neighbors can grow. Getting out and about on short trips and errands can be soothing and balancing. Your curiosity about others can lead you to fun discoveries and opportunities. A work project or major goal may encounter delays, or you may naturally slow down on its pursuit from the 7th. Around the 8th, you see recent decisions or plans in a new light. There is good energy with you for drawing upon the past for ideas and recycling them in improved ways going forward. The 11th brings the Solar Eclipse in your sign, signaling a time for embracing your independence and making your mark. On the 12th, Mars leaves your partnership sector and dips back into your work and health sector for the final two weeks of its retrograde. There can be hidden treasures in old programs, methods, and work projects. However, if you decide to revive something now, it’s best to come at it in entirely new ways rather than repeating past mistakes. This portion of the Mars retrograde cycle emphasizes practical and work matters. How you organize your time is in question now. From the 19th forward, you begin to feel more clear-headed, prompting quicker decisions and a more direct pursuit of your interests. Even so, it’s about the same time that a call to ease up on the stress of seeking clarity emerges as Jupiter and Neptune connect via a trine. This influence has been encouraging you to build the spiritual and emotional elements of your home life and relationships with loved ones for many months now, and is coming together again for the final time, pushing the point! Your financial situation may improve through combining income or borrowing. There can be more power and resources available to you to establish yourself through a home, property, or long-term business endeavor. From the 23rd, your focus gets far more practical. You’re in a great position to build upon recent ideas or projects now. Work, career, health, and finances stand to improve through small but useful changes. You can very successfully implement lifestyle changes now. You may find that a healthy routine benefits your career and long-term goals. You are more able to manage your need for accuracy and attending to details and your desire to innovate and express your individuality, particularly related to your work. The Full Moon on the 26th does remind you to round out your life by considering emotional needs. 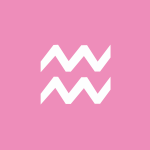 On the 27th, Mars turns direct after two months of retrograde motion, and while the shift itself can be a little chaotic and confusing, you’ll begin to see slow but sure progress in partnerships and with work and health endeavors in the weeks following. In fact, late summer and early Fall are excellent for second chances in these areas. The final days of August are particularly useful for attracting what you want into your life through your words and gestures. August 2018 Virgo Monthly Horoscope Summary: While you’re inclined to be rather busy in August, dear Virgo, there is a retiring side to you as the Sun (until the 23rd) and Mercury (all month) transit your privacy sector. This go-slow period is well-timed, in fact! With more planets retrograde than usual, brand new beginnings and bold moves are simply not recommended for anyone in August. While some other signs may be fighting it, you’ll find it natural to want to review your work instead of pushing for a launch or significant change. Even so, you can feel strongly on the verge of a meaningful change – something big – but you’re inclined to pace yourself. While it’s not until the last week of August that things pick up the pace on an overt level, there is much going on behind the scenes and inside your mind until then. This is a powerful time for putting an end to situations or attitudes in your life that have become more burdensome than rewarding, or that have grown toxic for you emotionally. Your private life is especially animated in August. Rest, reflection, and focus on mental and spiritual health are big themes. Venus continues its transit of your sign in the first six days of the month when others see you as especially desirable and likable, and perhaps more importantly, you treat yourself more gently! From the 6th, your powers of attraction are boosted when it comes to money, gifts, favors, and valuables, although generally speaking, you’re less visible. You are more gracious and more likely to take the high road in your interactions, and displaying increased self-respect earns you more respect from others. Your appetite for luxurious or beautiful objects might increase, as building and collecting appeal to you more than usual. You are exceptionally skilled at making the best of your resources, especially since you’re more patient with business and money concerns during this cycle that runs into the first week of September, as well. You can be directing a lot of attention to past events and relationships, especially around the 7-8. There is a turning point occurring now that sets you on a new path. You are coming to a new understanding of a past problem that allows you to move forward with less baggage. An important blank might be filled through the events at this time, and this helps you to see things with new eyes. The Solar Eclipse on the 11th is an unusual one – you can feel as if you are on the brink of something big, but you can’t quite put your finger on it. However, this is a time for putting a long-standing problem behind you. Mars moves back into your sector of play and joy on the 12th, where it will spend its last two weeks in retrograde motion, after which it will turn direct and stick around this part of your solar chart until September 10th. This can be a time for rediscovering old passions. There may be some delays or second looks in a creative project or even a romance, possibly due to setbacks, indecision, or stalling. However, this prompts a deeper understanding of your desires, needs, and goals. Mercury, your ruler, ends its retrograde period on the 19th, and just before doing so, connects with Venus. There can be surprising support or memory/intuition that boosts your career or long-term goals. In truth, it’s better not to begin a brand new project with Mercury about to turn direct, as it will likely get off to a slow start or you may reconsider it later on. However, it’s a good time for opening your mind to new approaches. Mercury’s direct turn on the 19th gets you back in the game, slowly but surely, but you can feel a little sluggish or blocked, mainly related to health and work, until at least the 27th. Helping you appreciate the moment is a Jupiter-Neptune aspect that first appeared at the end of 2017 and is now coming together for the final time. This aspect can bring helpful people into your life and can inspire you to pursue your studies, personal interests, or connections with a partner. You love to learn at this point, and you’re discovering all sorts of interests. You’re in particularly good shape for sharing your ideas or working with someone to produce something special, too. Your speech or writing is more creative and inspired during this period. Transportation options make transit more enjoyable and might even open up partnering opportunities. The Sun moves into your sign on the 23rd, awakening your desire to take charge of your life and set new personal goals. People notice you! A grand earth trine involving the Sun in Virgo happens on the 25th, getting things into practical gear. This configuration supports your efforts to make meaningful changes in your life, mainly related to travel, image and body matters, relationships, creative projects, and education. An example is combining travel and work so that you can see the world but also make a living, or teaching something that you’re enjoying learning–doing things you love while also meeting your responsibilities, in other words. This helps steady you during a rather changeful period. On the 26th, there can be relationship drama or the discovery of real feelings, and then on the 27th, Mars turns direct, and with the shift, uncertainty tends to prevail before things become “normal” again. Mars turning direct in your romance and creativity sector on the 27th suggests you’ll begin to see forward movement with creative pursuits and in your dating life, and later, with your work and health. The weeks ahead are excellent for getting things back on track. Ideally, you’ve discovered areas where your approach or methods can do with some improvement, and now you’re ready to make changes. You also benefit from exceptionally clear thinking now–something that will stick with you into September and help you make the right choices and moves. 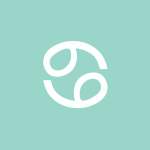 Libra Monthly Horoscope Summary for August 2018: You are strongly focused on friends, group activities, collaboration, networking, as well as attention to long-term projects this month, dear Libra. Demands on your time can be significant this month, and for the most part, pleasantly so. You do need to pay particular attention to managing your time effectively, though, with Mercury retrograde until the 19th and Mars until the 27th. Delays and backtracking can be part of the picture. Venus is in your sign from the 6th, bringing you even more attention and encouraging you to be kinder to yourself. The last week of August should bring a stronger need to withdraw, heal, and catch your breath. This is a period for wrapping up your solar year and making the most of solitude, reflection, and private time. Watch the 19-20 when Mercury stations and there may be misunderstandings involving a friend, dream, or plan that confuses everyone. After this time, you’re likely to feel more “in the know” about what to expect (and what not to expect) from people around you, and clearer about your goals, as well. Mind you, Mars remains retrograde until the 27th, so patience is still required before everything moves along swimmingly. The Solar Eclipse New Moon on the 11th can stimulate you to make a quick decision to change directions or even to end a friendship, but your patience returns around the 25th. In fact, it then makes more sense to you to slow down and think things through. One of the themes this month involves a dilemma between going your own way creatively speaking and collaborating. Both options look very attractive! Overall, though, it seems that working with others is your best bet in August. It seems you can benefit greatly from teamwork. Venus symbolically emerges in your solar chart on the 6th and spends the coming five weeks in your sign. People want to be around you and are drawn in by your warmth and spirit. During this cycle, you’re especially desired or popular, as well as confident and comfortable in your own skin. You radiate good energy and tend to attract positive attention and feedback as a result. It can be a time for drawing in gifts, but for the most part, you tend to be making your own luck. Know your limits now–some self-indulgence is fun, but going too far with this can, of course, be regrettable later. Venus in one’s own sign is always considered pleasant, but since Venus is your ruler, it’s an especially fortunate transit for you. It’s not that you won’t be challenged at times during this cycle, but that you tend to have your way now. Indeed, the power of attraction is with you–you’re magnetizing positive situations and people into your life. Around the 7-8, significant thinking or conversations can occur that give you new insight into recent events, decisions, or problems, mainly related to friends and relationships or a significant plan or dream. The insight you gain now may be a little new or raw, but can help pave the road to new beginnings and attitudes. It may come as a result of a meeting with someone from your past. Whether it’s direct feedback from a friend or your observations and coming into touch with your relationship needs, you’re going forward with a stronger sense of what you want from your connections. Mars, still retrograde, moves back into your sector of home and family on the 12th, where it will spend its final two weeks of retrograde motion. You may be reviewing your living situation or conditions during this time. You’re likely to revisit old family issues or household projects. Delays are possible, but the rerouting that results from delays can be helpful. While there may be some level of chaos or confusion on the 17-19, you have more emotional fuel for enjoying and pursuing your interests. You can fully enjoy trying new things, branching out, improvising, and experimenting. You are especially attracted to new or out-of-the-ordinary activities, ideas, and people. Mercury ends its retrograde on the 19th, and after a feeling of being in limbo or on the fence about matters, information comes in that helps clarify things and move life forward. A Jupiter-Neptune trine influences this part of the month, too, and it’s wonderful for perspective. It’s a favorable influence on your work, finances, and health. Your self-image improves, and this has positive effects all around, as you take better care of yourself and pay more attention to the mind/spirit element of your life. This is a time not so much for perfecting your craft or talents, but for rounding them out and putting them to good use. The work you do now may feel more compatible with your overall philosophies or mission. From the 23rd, you tend to seek out more time to yourself or out of the fast lane! Even so, you’re in an excellent position for both changing and stabilizing critical areas of your life, particularly emotional life, debts, relationships, living conditions, and family. There can be excellent support at home or with family now. This is a time for sorting out your living arrangements and money situation. Progressive or alternative methods and arrangements can be made to work for you. It’s a good time for home repairs, moves, or other domestic developments, as well as a supportive atmosphere at home or with family. Mars turns direct on the 27th after two months of retrograde motion, and you’ll enjoy more clarity about home, family, romance, and creative projects over the coming weeks. A venture might pick up the pace, reach a turning point, or resume now. Desires are clearer, and you feel more confident about new launches and new beginnings. 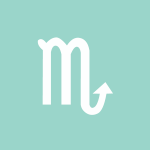 Scorpio Monthly Horoscope Summary for August 2018: There is a strong emphasis on work and responsibilities to the outside world in August, dear Scorpio, with the Sun, Mercury, and a Solar Eclipse calling your attention to your broader goals and ambitions. Until the 19th, there can be some rethinking, redoing, and backtracking on projects, and while sometimes frustrating, it’s important work that helps you make the necessary edits. From the 11th, energy for professional new beginnings or renewed faith in your goals increases, however. The month also brings a beautiful aspect to perfection involving Jupiter in your sign and Neptune in your creative sector, plus a very creative Full Moon, pointing to wonderful opportunities to express yourself through hobbies, experiences, and relationships. The two-month Mars retrograde cycle ends on the 27th, signaling a turning point for your energy and desires. There is decreasing emphasis on performance and building focus on personal happiness goals as the month advances. The month is busy both professionally (or publicly) and with networking and enjoyment of friends and pleasurable pastimes. Some matters surrounding your reputation or career can be tricky in the first couple of weeks of August, and it’s probably best not to encourage any misconceptions with a misplaced comment or premature announcement. Past matters, and possibly private ones, assume larger importance this month with more than the usual retrograde activity, including your rulers, Mars and Pluto. Venus moves into your privacy sector from the 6th, suggesting further need to take the time to process your feelings and needs. You can come to a greater understanding of the more spiritual side of love during this cycle that lasts through to September 9th. Your affections are private or in a state of flux during this cycle. You may be a little withdrawn, and might not receive as much attention as you usually do. Even so, your compassion is stimulated, and this can draw you to people who need help. Benefits can come through behind-the-scenes activities and efforts. It can be an excellent cycle for enjoying some level of solitude or exploring your deeper feelings, as well as volunteering or helping others. Some of you could experience revived feelings for an old relationship or find out about a secret attraction this month. There can be a sense of satisfaction regarding a relationship or a private matter, especially around the 7th. Around the 8th, you may gain new insight into your life path, direction, or career. This is a time for seeing recent decisions, projects, and events in a new light, and having a stronger sense of what you want from life moving forward. Pay particular attention to conversations or information coming in related to long-term goals, work, and responsibilities. While this is not yet the time for making sweeping decisions along these lines, it’s an important time for gaining a better understanding of your goals and for redefining your expectations to match them. Mars moves back into your communications sector on the 12th and will spend its final two weeks of retrograde motion here (until the 27th). Some of the pressure you’ve been feeling on the domestic scene releases, and you turn your attention to courses, studies, and interests that may need special attention. Challenges with self-expression, pushing/selling your ideas, or with neighbors and siblings may emerge. However, this is an active period for fixing problem areas and revising work you did in the past. Mercury turns direct on the 19th, ending a cycle that involved looking to the past, making refinements and edits to projects, and rethinking problems from a different perspective. With the changeover, there can be some level of chaos revolving around communications that are misunderstood, lost, overwhelming, or overlooked. Otherwise, there is a satisfying feeling that you’re getting over a hump, and possibly gaining a better understanding of a relationship. Helping you with this is a Jupiter-Neptune aspect that has been with you since December and is now perfecting for the final time. With this aspect, there is a magical quality to your charisma, appeal, and creative output. It can be a popular time for you as you stand out as unique and desirable. Expressing yourself creatively or romantically helps you understand and define yourself better, and is a confidence-booster all around. The Sun enters your social sector on the 23rd and then forms a Grand Trine in earth signs (and in your relationship sectors). You’re in especially good form for improving and stabilizing your relationships, home life, studies, and projects. This can be an excellent time for making an alternative setup work for you, as you can pull the best from the traditional and progressive and successfully apply these things to your life. It’s also a powerful time for collaboration. You’re capable of tremendous effort to further your personal goals now. While the grand trine helps keep you grounded, the Full Moon on the 26th ensures you’re also taking care of your emotional world. This lunation can mark a turning point or significant discoveries related to creative pursuits, long-term projects and happiness goals, hobbies, romance, and friendships. Mars turns direct on the 27th after two months of retrograde motion. Things that you’ve pushed to the side, ignored, or delayed can seem overwhelming now, but in the coming days and weeks, you’ll get to move these things forward. Blockages are lifting! Recent transportation and communication problems are sorting out, as well. Take things slowly but surely, and if you find yourself regretting recent decisions, work on fixing them one step at a time. The last week of the month is potentially excellent for coming to a work-life balance that’s satisfying and productive. 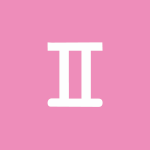 August 2018 Sagittarius Monthly Horoscope Summary: Getting your daily affairs in order may figure strongly in the first few days of the month, dear Sagittarius, but your larger focus is on the “big picture” for much of August. In fact, you have a strong desire for experiences that transcend the ordinary, and a case of wanderlust can take hold! Chances to satisfy this itch, whether they’re physical or mental, are good, but there can be some related delays to work around with Mercury retrograde until the 19th and Mars to the 27th. Changes, backtracking, and obstacles tend to redirect you on a more appropriate path, however — it’s mostly a matter of staying flexible. The Solar eclipse on the 11th fills you with take-charge energy. It can motivate you to share a project with others, embark on a course of study, or take part in a horizon-expanding adventure. Fortunately, this energy sticks around for months ahead, so if you can’t manage it just yet, you have plenty of time to set things up. In truth, brand new beginnings are not advisable in August in a general sense. Fortunately, a Jupiter-Neptune aspect coming together now helps you slow your roll and enjoy the process as you do! The month can bring a fair amount of indecision and a state of limbo at times. From the 19th forward, plans seem clearer, you are living with a stronger sense of direction, and enthusiasm is on an upward swing. However, while you may have an idea of what you should do now, it may not be until after the 27th that you know where you truly want to go! Venus helps boost and preserve your professional reputation until the 6th and then enhances your social life from the 6th forward. This Venus transit brings more comfortable energy for socializing and connecting, and it follows you into next month (until September 9th). Sharing some of your talents or expertise with others can yield excellent results. Your tastes are for the new, different, and progressive. Friendships and social life are more appealing, pleasant, and beneficial during this period. You are drawn to like-minded people, and you better understand the benefits of relaxing and taking some time off from responsibilities. There can be a nice boost in business income for some of you, as well. Even with Mercury retrograde, self-expression comes quite easily with friends now. You might meet someone special through friends, learning, or networking, and a past friend or associate may be part of the picture around the 7-8. You can have new insights into recent decisions that serve to change your perspective in significant ways, particularly related to learning and exploratory pursuits. From the 12th, Mars spends its last two weeks of retrograde motion in your sector of money and resources, and there can be a need to focus on sorting out your finances. Money and security matters require some revising and reorganizing. This period (from the 12-27) involves coming to a greater understanding of how the way you manage your resources impacts your confidence. Be on the lookout for old projects that may have relevance to you now. You are more inclined to see opportunities you’ve overlooked in the past. Not following plans can result in pleasurable detours. Mercury turns direct on the 19th, and you may get a few answers you were waiting for. This happens around the time of a Jupiter-Neptune influence that encourages a go-with-the-flow attitude, however! This aspect has been with you since December in varying degrees and is strong now in its final perfection. Through it, you may find greater joy in being of service to others, and your perceptions heighten. You are building your confidence in yourself as you help and support others. It can be a period for developing your psychic abilities and understanding your family connections more intuitively. You may be able to gain property or support from family, or you could secure a loan or mortgage that helps you to improve your home life. This sets the perfect mood for the Full Moon on the 26th, which prompts you to get in touch with your true feelings about a matter. It’s a time for paying special attention to family or home life, as well as your needs for comfort, rest, and familiarity. The Sun moves to the top of your solar chart on the 23rd, and two days later finds excellent planetary support in that position. This puts you in an excellent place to make improvements and updates to your life rather than sweeping changes, mainly with finances, business, work, health, and studies. Alternative approaches to work or wellness come through for you now. Your income can improve or stabilize while you are allowed more freedoms in your job or daily life, for example. Increased faithfulness and self-discipline are with you as you develop your routines and habits, contributing to better health and satisfaction from your work. Mars turns direct on the 27th and can point to a turnaround in financial and business-related areas. Later, this can help you resolve problems related to studies or paperwork. Your desires become plainer and clearer to you going forward. While you likely benefited from some slowing down, this is good news for forward-looking, direct, and spontaneous living. Capricorn Monthly Horoscope Overview for August 2018: The month favors slowing down for all, dear Capricorn. Fortunately, the energies of the month help make this more natural for you. It’s an essential time for looking within. Intimate matters can be your major focus, mainly in the first three weeks of August, or you can be particularly involved in current pursuits. You’re more inclined to focus your energy on one or two important projects, and your interest in bonding with someone special or for focusing on a special project strengthens. You’re in good shape for getting into better touch with your inner power and recognizing or building upon support from others. There can be some matters from the past to settle, or some backtracking in these areas, as well as with personal plans and financial affairs, however. 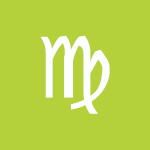 Mercury’s direct motion on the 19th signals a turning point, but it may not be until after the 27th that you’ve sorted out what you genuinely want to do. Saturn continues to demand both order and realism from you, but this theme seems to fall in the background in August. The last week of the month finds you coming out of your shell, craving more adventure, as well as a little clearer about your goals. August begins with a strong need for inner change, transformation, and self-mastery. Your focus turns outward later in the month, but the inner work you do is powerful. It’s a time for observing and processing rather than taking new action, and this theme is echoed by retrograde Mars until the 27th, especially with this happening in your sign from the 12-27. While in the first week of August, you’re attracting the right kind of attention, you may feel as if there is a lot left hanging in a particular relationship or concerning support until the 19th. The impulsive Solar Eclipse on the 11th can trigger a quick, sweeping decision on these lines, but it’s better to use this take-charge energy to make plans and strategies, saving the big changes until next month or later. You may want to leave something behind and start fresh. Venus moves to the top of your solar chart on the 6th and will stick around here, boosting your public or professional reputation until September 9th. You may have to work a little harder to attract the things, people, and circumstances you want on a personal level, but in your career and with higher-ups, you have considerable charm and diplomacy at your disposal. This can be a time for enjoying opportunities, promotions, or advances. You tend to say and do the right thing at the right time. Romantic opportunities, or chances to socialize and make mutually beneficial connections, can emerge through business, or you enjoy the work you do and impact you make more than usual. Much pleasure can be derived from pursuing your goals. Others may be appreciating your services or efforts, and positive feedback is likely. Be confident, or at least pretend to be, and you’ll grow into it! Around the 7-8, a new perspective on money matters or a close relationship can steer you on an improved course. Perhaps you’re seeing that you’ve been dwelling too much on a past relationship or problem and this has been unnecessarily weighing you down. You are now feeling the need to move past it and move on. Mars has been retrograde in the sign of Aquarius since June 26th, and on the 12th this month, moves back into your sign. In fact, Mars will spend its last two weeks of retrograde motion in Capricorn (Mars is retrograde until the 27th). The usual channels for asserting yourself, pursuing your desires, and expressing anger may seem blocked, inappropriate or out of reach now. Until you find new ones, you could feel a little frustrated. Watch that you don’t allow unacknowledged or buried desires drive your behavior. You may not be as quick to take action, and this can work to your advantage. This is a significant time for examining ways anger has helped or impaired your life so that you can find better ways of managing it. Focusing on review, editing, and digesting rather than new initiatives is your best bet now, and may very well lead to better results down the road. Slow down, rethink, and regroup. You also benefit from a Jupiter-Neptune trine influence that has been with you in varying degrees since last December, and now connects for the final time. With this, your social life and friends base may expand, or plans and dreams could motivate you for the future. This is a robust period for imaginative interactions and communications. Your ideas are both inspired and inspiring. It’s an excellent time for writing and connecting, as well. 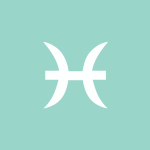 This influence sets the perfect mood for the Full Moon in Pisces on the 26th, when your feelings about a particular project or direction are undeniable. The Sun moves into your sector of higher learning, spirit, and adventure on the 23rd, and just two days later connects with Saturn and Uranus in a grand trine. You’re seeing the benefits of the Saturn transit to your sign more clearly and feeling a comfortable sense of purpose and meaning. You’re likely to benefit from more structure or discipline in your creative or romantic life. You are balancing responsibility and recreation more evenly now, and it feels terrific! Your love life improves as you bring a stronger sense of self into the equation. There is more enjoyment in your life as you come to a better balance between work and play. Mars ends its retrograde period, turning direct on the 27th, and in the weeks following, you’ll be building your resolve and pushing personal plans and projects forward. Energy and motivation levels increase as plans of action seem more straightforward. You’re clearer on what you desire! You regain energy and drive, and the rewards for your efforts are more evident and motivating. This doesn’t happen all at once. In fact, the transition period may be tricky, so take things slowly for now. Decisions shouldn’t be rushed. August 2018 Aquarius Monthly Horoscope Summary: There is a stronger focus on companionship and your close relationships this month, dear Aquarius. It’s the time of year when others’ agendas and needs tend to come into the spotlight, and you’re paying your relationships their due attention. You’re also more inclined to seek out others’ company, advice, and feedback. There can be some issues related to your independence that you’re dealing with since Mars is also retrograde in your sign, and you’ve just experienced a Lunar Eclipse in Aquarius that brought unacknowledged personal needs to the surface. It can be an important period for checking in with those feelings and desires that you’ve brushed off or left unfulfilled. Your ruler, Uranus, joins the rather sizeable retrograde club on the 7th, further pointing to some need for introspection. Venus moves into harmony with your sign from the 6th forward, and is in its own terms, to boot, helping you attract positive attention. This transit improves your life in subtle ways. Until the 19th, you can be sorting out some feelings and frustrations about a person or relationship, after which matters slowly but surely straighten out. There can be distinct times most of the month when you can be feeling uncertain of your next step. Focusing on small jobs that need your attention can boost your mood. Perhaps a future move is now up in the air, or living conditions are slightly unstable just for the time being. Handle problems before they manage to take over, but give yourself frequent breaks if possible, and time to think, imagine, and reflect. This is a strong month for putting your life back into balance, although it may not be until September that you know where you’re headed. When Mercury stations on the 19th, be on the lookout for mistakes and misunderstandings, particularly in your dealings with others, and with negotiations and contracts. There is a general feeling of limbo now, but the impulsive Solar eclipse on the 11th can stimulate a sweeping decision. The desire to start fresh is strong, and putting an end to a stressful situation may seem to be the only option. Even so, it may be best to wait things out since new beginnings are not advisable through August. Plan and strategize for best results now. From the 6th forward, you have a stronger desire to learn, entertain new ideas, expand your knowledge and experiences, and enjoy diverse or simply different activities. You can make beneficial connections in places of learning or while venturing beyond your usual routine. Intuition improves. You’re attracted to others who share your open-mindedness, or who have an interesting perspective to offer you. There can be friendly competition now that stimulates you to do your best or to reach higher. Around the 7-8, there can be the beginning of new thinking on a relationship or your needs for one-on-one relating in general. You have a rare ability to see the dysfunctional elements of the past. This comes at an interesting time, just three days before the Solar Eclipse that occurs in your partnership sector, signaling new beginnings in the relationship department. Mars has been retrograde and transiting your sign since June 26th, but on the 12th of August, Mars heads back into the sign of Capricorn where it will complete its final two weeks of retrograde motion. From the 12-27, you may be changing your approach to satisfying your spiritual and emotional needs. While you may be invariably preoccupied with private matters or concerns about the past, this is a time for better understanding your more complicated, buried drives and desires. A Jupiter-Neptune influence that’s been in and out of your life since last December comes together for the final time this month, and it’s excellent for boosting your intuition at a most opportune time. Business, financial, and reputation matters can improve and develop in almost magical ways. You may be connecting with people who further your career or personal interests, and through their wisdom or faith in you, you are encouraged to reach your highest potential. You can find your work or responsibilities more pleasant. This influence is also useful for boosting friendships. It sets you in the right frame of mind for the Full Moon on the 26th, when you become more aware of your money situation or resources and ideas for making improvements are excellent. The Sun moves into your intimacy sector on the 23rd and then forms a grand trine two days later, putting you in a strong position to discover creative and practical ways to live, work, and settle in. Putting a problematic situation or long-term problem behind you can figure strongly now. There can be key improvements related to your emotional life, home, and finances. Personal energy levels remain on the low side this month, but your desires become clearer at the end of August. From the 27th forward, once Mars has turned direct, you are less inclined to hold onto resentments, and while further inner work is necessary, it’s clearer what that is now. Mars will continue to stay in the background, directing your attention behind the scenes for a while longer, but when Mars does re-enter your sign on September 10th, you’ll be raring to go. This is a good time for self-improvement programs, volunteer work, and talking through problems with a trusted person in your life. Take decisions slowly and ease yourself back into action. August 2018 Pisces Horoscope Summary: While there is a special emphasis on matters of health, work, and routine this month, dear Pisces, August should have has its fair share of memorable moments and pleasant experiences. It is undoubtedly a time for dealing with errors made in the past, slowdowns, delays, and so forth, but the work you do now can pave the road for sweet successes later. Be sure to focus on healing and reflecting as well so that you can bring your renewed self back to your work and self-care programs. Lifestyle improvements are strongly favored after the Solar Eclipse on the 11th, and ideas or insights gained on the 7-8 can help direct you along these lines. It’s a time when you may be itching to start anew and take charge of your work, daily routines, self-care programs, and health. A more social theme and a focus on close relationships, and especially partnerships, emerges from the 23rd forward. August is a month for being especially productive and enjoying the feeling of being useful, but it can also be a rather busy period that requires some backtracking over incomplete or outdated projects. Health or work matters can be a concern, and there can be some muddle, confusion, a state of limbo or feeling as if you are falling behind. This is due to an unusual amount of retrograde activity. From the 19th forward, it becomes easier to handle these things directly and confidently. Still, it may not until after the 27th, when Mars turns direct, that you feel clear about what you want and where you want to go. You have plenty of planetary support for taking these slowdowns in stride, and while backtracking isn’t always fun, you can be making substantial changes and refinements that will eventually benefit you greatly. Venus transits through your solar eighth house from the 6th forward, and functions quite well there, stimulating your urge to share in a harmonious manner with others. It’s a favorable influence for shared resources or money coming to you from other sources than your personal income. It’s a time for regeneration and processing recent events in your love life or new feelings. Ideally, this clarifies where to make changes that benefit you going forward. This is one of the better periods of the year for attracting any support you may need, material or emotional. Feelings of love and attachment intensify during this cycle. Playful competitiveness can be gently stimulating. From the 12th to the 27th, Mars spends its final two weeks of retrograde motion in your solar eleventh house, stirring up friendships, group interactions, and long-term goals. Some of you could be dealing with frustrations and buried anger with friends. Ambiguity in these areas of life may lead you to make reassessments. There may be frustration with goals or dreams not manifesting soon enough, when in fact this retrograde period is strong for making important edits to your plans. It can also be an excellent time for reconnecting with old friends, plans, and projects. Think of this period as a time for going back over old ground, this time with new eyes. Mercury turns direct on the 19th, and information can come in that helps you move forward a health or work plan. At the same time, you benefit from a Jupiter-Neptune aspect that’s been with you in varying degrees since December, and is now exact for the final time and in its full glory. Your intuition is working beautifully now, helping you benefit from multiple-planet retrograde periods. This can be a time for meeting a significant friend or a romantic interest through travel or other activity that involves breaking the routine. Teaching, guiding, and learning are prominent themes. It can be a time of tremendous personal appeal as well as life-changing, positive experiences that expand your mind. From the 23rd, relationships are in stronger focus. Around the 25th especially, partnerships, friendships, communications, learning, and technological projects benefit from improvements. If you can find a way to have fun and make money, teach and learn at the same time, or similar, you should embrace the opportunity. It’s also a great time for improving your image. Collaborations with others can be magical now. On the 26th, a Full Moon occurs in your sign, and with it the blossoming or embracing of your true feelings on a matter, or a significant turning point for your personal plans. You’ll get a great sense of any feelings that you’ve brushed aside, buried, or otherwise ignored. Knowing what’s in your heart is empowering, even if you don’t yet have a plan set in stone for going after what you want. Just a day later, Mars turns direct after retrograde motion for two months. In the coming weeks, you’ll be clearer about your desires and needs. Friendships might straighten out, and emotional complications seem to sort out, too. You’re learning who is truly in your corner, and your desires and affections clarify. As with most matters in August, it’s best not to expect immediate results. Have faith that slowly but surely, you’ll get where you want to go. Sun 29° Aries 50' 44"
Moon 09° Scorpio 47' 48"
Mercury 03° Aries 45' 49"
Venus 29° Pisces 26' 33"
Mars 13° Gemini 08' 29"
Saturn 20° Capricorn 26' 22"
Uranus 02° Taurus 22' 13"
Neptune 17° Pisces 43' 15"
Pluto 23° Capricorn 08' 48"
Chiron 03° Aries 28' 58"